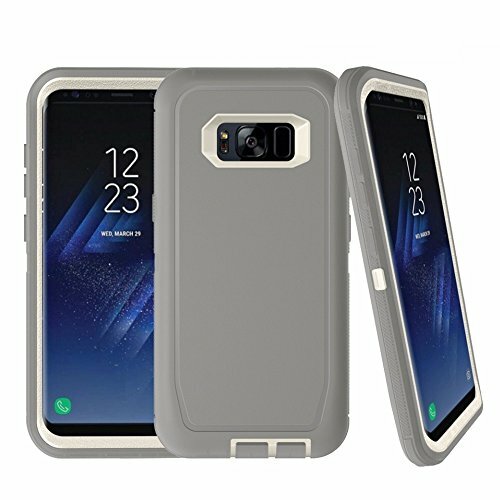 TekForce Defender Series case provides heavy duty protection for Samsung Galaxy S8 Plus against serious drops & scratches. Solid 2 layer protection for your device so you can take care of business worry-free. Robust 3-layer protection defense-solid inner shell and soft outer cover, Dropproof, Shockproof, Anti-Scratch. Polycarbonate shell. Screen protector is not included. Designed with zero tolerance to ensure snug fit to protect your phone. Installing instructions: 1. Open the assembled case from the Home button side for easy removal, 2. Unsnap the tightly snapped hard cover all around the phone, 3. Place the phone and snap the 2 hard cover all around, and 4. Install the Hard Rubber cover from the top side of the phone and snug it tight and work through the Home Button. If you have any questions about this product by TekForce, contact us by completing and submitting the form below. If you are looking for a specif part number, please include it with your message.